Jackson is a funeral home driver. 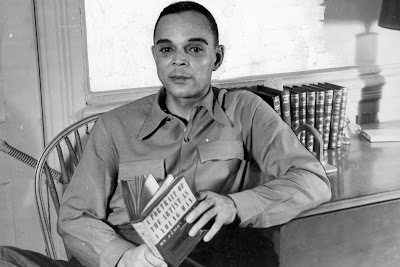 He is also one of the most naive bumpkins ever created in literature. Religious to a fault and ever wary of committing sin Jackson tends to believe what people tell him, especially if they are attractive women or have some sort of credentials. The less than handsome Jackson, implausibly, has fallen in love with a beautiful woman Imabelle. Imabelle has some friends, or perhaps associates, who counterfeit money and sell stock in a secret gold ore mine. The men have convinced Jackson to give them his life savings ($1500) to turn into $15,000. With his newfound wealth Jackson will be able to get Imabelle out of a jam and marry her. Jackson sees no evil in Imabelle. But when a corrupt Federal Marshal raids the apartment where the men are making the fake money, Imabelle and her friends flee, along with Jackson's money and a trunk full of gold ore.
Jackson is left holding the bag. Jackson promptly makes some poor decisions which lead to him being wanted by the police and becoming poorer than before. Desperate, Jackson turns to his brother Goldy. Goldy earns a living working the streets of Harlem dressed as a Sister of Mercy and taking monetary donations. Goldy is street smart. He soon learns the identities of the hoodlums working with Imabelle. Goldy recognizes that Imabelle is playing Jackson. Goldy uses his network to look for Imabelle and the men running the counterfeit scheme. But Jackson and Imabelle have their own plans. Grave Digger and Coffin Ed don't like Goldy. In fact they despise him. He violates their concept of masculinity. But they'll use him as an informer. Soon some very dangerous people and one very foolish one (Jackson) are searching Harlem for each other. Himes doesn't spell things out or beat the reader over the head with social commentary. That stuff is baked in the cake. Himes, through his characters, offers some piquant observations on racism, classism, colorism, sexuality, gender roles, religion, morality, hypocrisy and police brutality. A running joke is that Jackson, a gentle soul despite his situation, is constantly calling upon his pastor for help and advice. His pastor is not at all interested in his parishioner's problems. He would rather get back to sleep, count the church's money or finish a luxurious dinner, all while peevishly lecturing others on Christian charity. There is some dark comedy here, often unwittingly provided by Jackson, who refuses to believe what everyone else immediately sees about Imabelle. This is an energetic story. At 159 pages A Rage in Harlem is a welcome reminder that compelling tales can be concise. A Rage in Harlem influenced later writers like Walter Mosley. 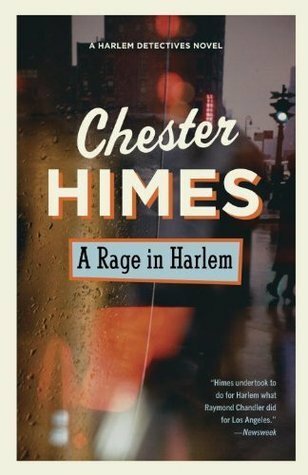 Himes introduces the reader to a bygone Harlem. The reader will appreciate how publishing standards have changed. The editors allowed racial slurs but transfigured the ubiquitous slur "muyerfuyer" into "mother-raper". Go figure.